I have been compensated by HALO for this post; however, I am sharing my own thoughts. All opinions are my own. 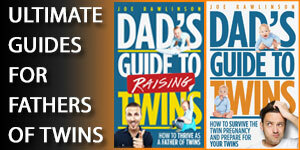 One of the biggest challenges we have with infant twins is getting them into a good sleep routine. The newborn months, in particular, are insane. 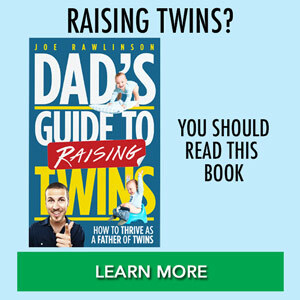 You’re trying to figure out how everything works and your twins are in need of attention at least every couple of hours. The best practices for safe sleeping recommend that your babies sleep in their own sleep space and in your room. However, the logistics of finding space for two babies in your master bedroom can be overwhelming. How do you fit two cribs in so little space? 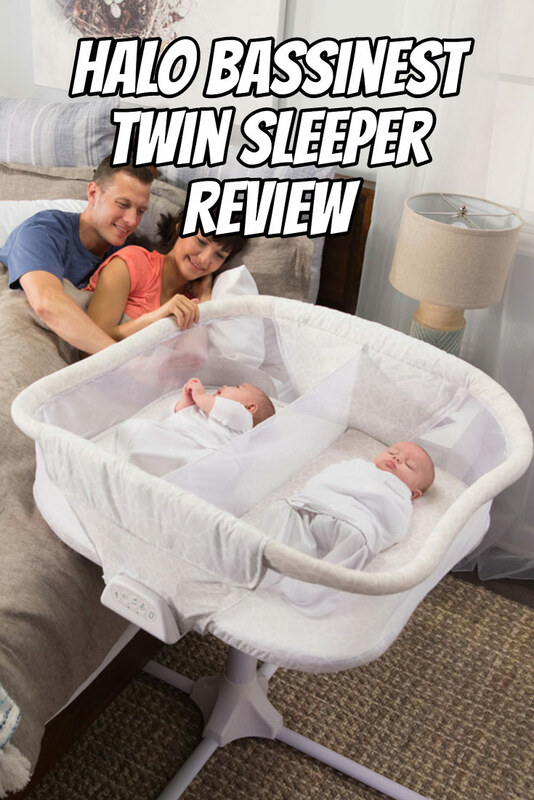 Fortunately, a new product solves the twin sleeping dilemma. HALO, makers of the famous SleepSack, have created the new Bassinest Twin Sleeper (retail price $449.99). 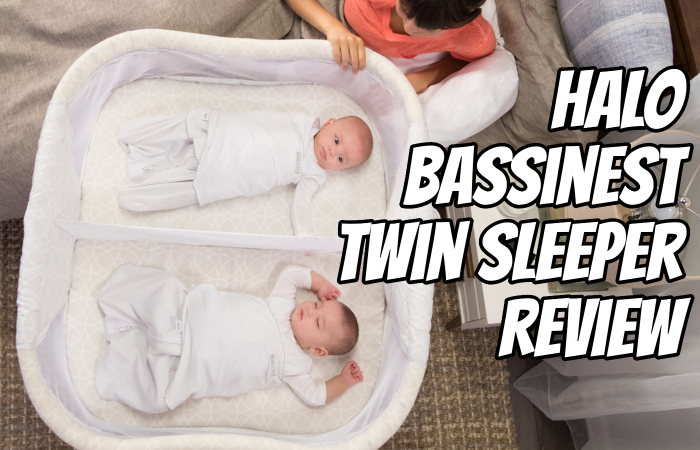 This double bassinet offers a very creative solution to your twin sleep challenges. The Bassinest features a small footprint so it can easily fit next to your bed and takes up less space than two stand-alone cribs or bassinets. 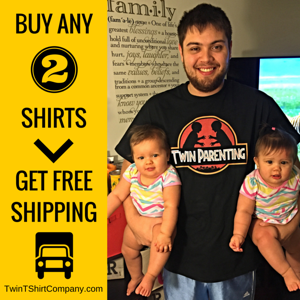 You can keep your twins easily within reach for nighttime feedings and care. 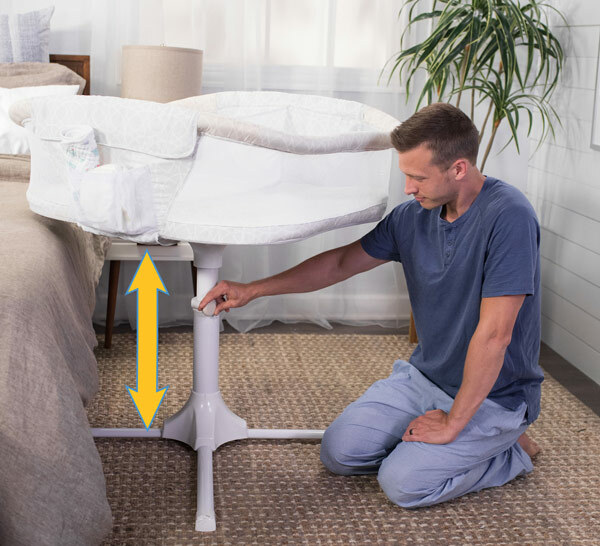 The top of the Bassinest and the sleep surface for your babies rotates so you can swivel it around to tend to each baby in turn without having to get out of bed. This is perfect if Mom is nursing babies during the night or you just need to quickly soothe one of them between feeds. Bassinest swivels so you can easily reach your babies. When it comes time to reach over and pick up a baby, the side lowers when you rest your forearms on it so you don’t have to lean over at awkward angles to maneuver babies in and out of the sleeper. This is great if Mom may still be recovering from a c-section and has a limited range of motion. Sides lower for easy access to your baby. Mesh walls make it super easy for you to see your babies even when you’re laying down in bed. 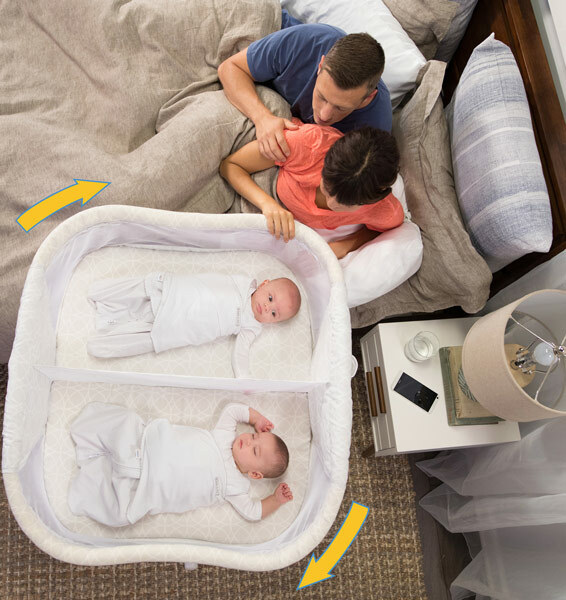 Plus the middle mesh divider allows your twins to see each other (which they love to do) without physically being in each other’s space. 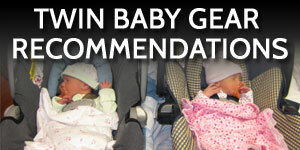 Truly great baby gear also helps solve multiple problems. The Bassinest includes a “Soothing Center” that has a nightlight and calming music and sounds. This includes two levels of vibration to help soothe your babies. Sometimes Mom falls asleep while nursing. This Bassinest has a “back to bed reminder” that reminds Mom to wake up and put the baby back in the sleeper. HALO’s Bassinest includes a sturdy base whose feet fit under your bed and prevent tipping. The stand is height adjustable so it will accommodate your bed in a range of heights (22-34 inches high). 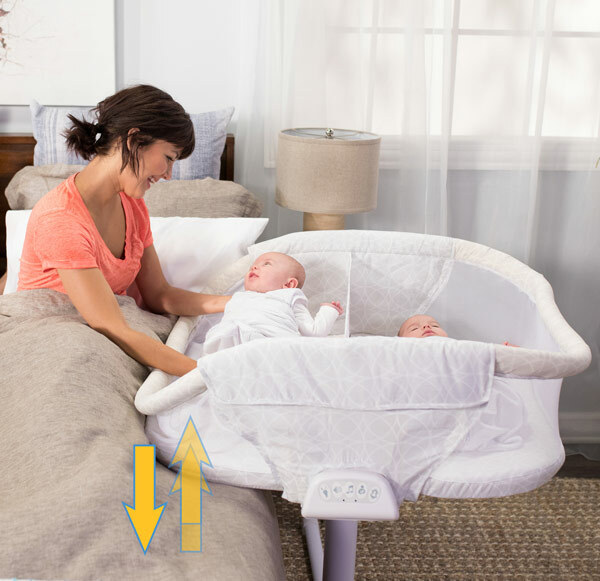 The Bassinest is height adjustable to fit around your bed. The Bassinest Twin Sleeper can be used with your babies until they are 20 pounds or five months old. Keep in mind that once your babies start to roll over or push or pull themselves up, you should move them to their own cribs. This sleeper includes two sets of sheets, two waterproof mattress pads, and two storage pockets to stash some diapers and burp cloths. 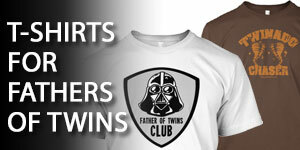 Did you know that HALO was founded by a father of twins? Check out Bill Schmid’s story here.